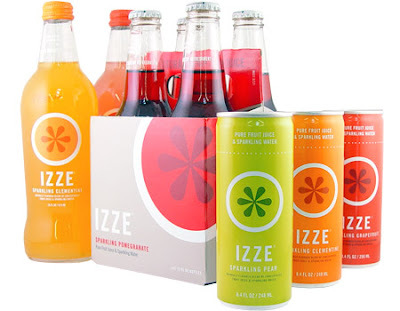 If we have enough money leftover I plan on getting Izze's and old fashioned stewarts sodas in the glass bottles. I'm also thinking of renting a snowcone machine so that people can have snow cones before the ceremony to cool off. (We'll be getting married outdoors in August- it may be a hot one.) For $50 why not?! Does anyone know where I can get a nice lemonade service jug like the one pictured for a reasonable price? We're doing cans of soda because you can turn those in for .5 each to be recycled. @Jen - Target! They have those (Not quite as fancy) for about $15 each. They're a pretty good investment, I'd think, if you have people over frequently. for those of us who do not have Target...but love Target nonetheless, how would I search for this on their website??? thanks! nm. they're called "beverage dispensers"...haha. My dream wedding would include large jugs of white wine and red wine sangria (along with a non-alcoholic version for the kidds and non-drinkers). I lived in Spain for several years, and I would just love to have this instead of a standard cocktail hour. However, since it's going to be a pretty DIY affair, I'll have to carefully think about the logistics of this one before committing to the idea. It's high on my secondary list of priorities, however. Mmmm...sangria! Rebecca, you should go for it. It tastes better if it's made a day or two before anyway, isn't it? Just recruit a few friends to take charge of the whole process and you'll be good to go! 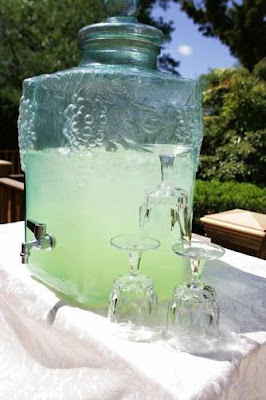 We used a combination of galvanized buckets (Walmart) filled with bottled sodas (and even threw in a few weird ones for people to try) and then had two large glass jars (Walmart) with ladels for punch and lemonade. We also had coffee and sparkelling cider. We used the buckets for everyone else's weddings and parties and then used the two glass jars for flower and sugar in our kitchen after the wedding. I got mine at www.classichostess.com. It was a real hit. I put in one sangria and the other lemonade. everyone was ooohing and aaaahing! I send them to classic hostess they have a large variety of drink dispensers!